The Pennsylvania Manufacturers Association Insurance Company is part of the PMA Group of companies along with Pennsylvania Manufacturers Indemnity Company and Manufacturers Alliance Insurance Company. Pennsylvania Manufacturers Association Insurance Company is a property and casualty company specializing in Workers Compensation coverage for small businesses. They also now offer many other insurance products; however, health insurance is not currently, nor has it ever been, among their product offerings. Find a company that offers health insurance at a reasonable rate. Click here and enter your zip code to begin comparing health insurance rates now. The insurance company now known as Pennsylvania Manufacturers Association Insurance Company was established in 1915 and known at the time as the Pennsylvania Manufacturers Association Casualty Company. It was created in response to a law enacted in Pennsylvania at the time requiring businesses to begin offering workers compensation benefits to employees with job-related injuries. In 1919, the company’s name was changed to the Pennsylvania Manufacturers Association Fire Insurance Company, and their product line expanded to begin offering property insurance policies in addition to workers compensation. PMA Insurance Company began its expansion outside of Pennsylvania in 1969 with the opening of a branch in New Jersey. In the mid 1970s, the company began to focus on risk management to improve safety and employee practices in order to reduce losses. 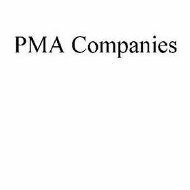 In 1982, all of the divisions of Pennsylvania Manufacturers Association Insurance Company were consolidated under the PMA Capital Corporation. Finally, in 2010, PMA merged with Old Republic International Corporation, broadening their services even more. If you would like to contact your local PMA Insurance Company office, a list of information for all offices across the country is available on the PMA website: www.pmagroup.com. To contact the company headquarters for additional information on products, policies, or claims you may use the following mailing address or phone number. In 2001, the PMA Insurance Company launched PMA Cinch, a service designed to provide clients with 24-hour access to claims data. In 2004, claims efficiency was improved further with the introduction of online claims reporting. Finally, in 2010, the PMA Claim Center was launched to improve overall claims efficiency and handling. If you have a claim to file with PMA you can do so online or by calling 1-888-4PMANOW. PMA Insurance Company is one of the highest ranked property and casualty insurance companies in the United States. A.M. Best gives PMA Insurance a rating of A (Excellent) based on financial stability. Company security means nothing; however, if the customers are not satisfied. In 2009, a survey revealed a 96% satisfaction rating among PMA clients. Compare health insurance quotes from several providers in your area. Simply click here and enter your zip code for a list of quotes.